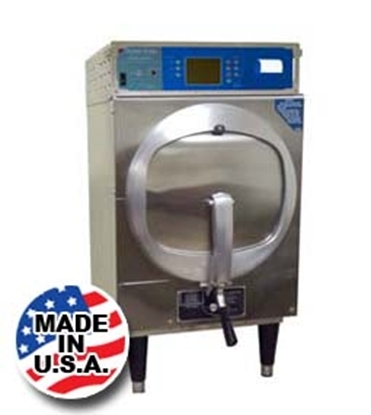 Market Forge, a leader in kitchen equipment provider in the States, it also builds a fast medium size steam sterilizer: sterilmatic. This is a fastest machine comparing to the similar size sterilizer/autoclave. It is largely used in university, lab, food industry, etc. It is fast, reliable. One of its fast reason is its aluminum chamber, which transfer the heat faster than regular stainless chamber. Please visit Market Forge website for detailed inforamtion. 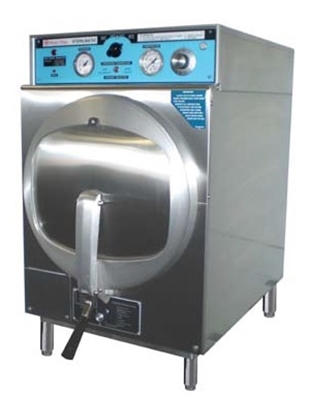 Market Forge Electric Model Automatic Steam Pressure Sterilmatic Sterilizer (Autoclave). The Sterilmatic is a dependable, inexpensive and ideally suited for laboratories, veterinary clinics, processing plants and more.